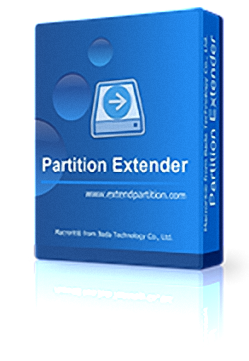 Partition Extender Free Edition is the powerful utality to extend data partition with few clicks, for novice users, you can click one bottom to do maximum extension, it will enlarge you data partition at most, and you don't need to worry on computer terms like unallocated space, uncontinuous space and file system, etc. Besides, each edition we added disaster-protection program in it, so there's no need to worry on data safety, Extender already done everything to prevent data from lossing. With the portable edition, users don't have to install the program again to run disk management, but download it directly into a USB flash drive to do the partition extend job. Convenient to use and each edition has a portable edition to download. Have a strong wish to extend system partition? 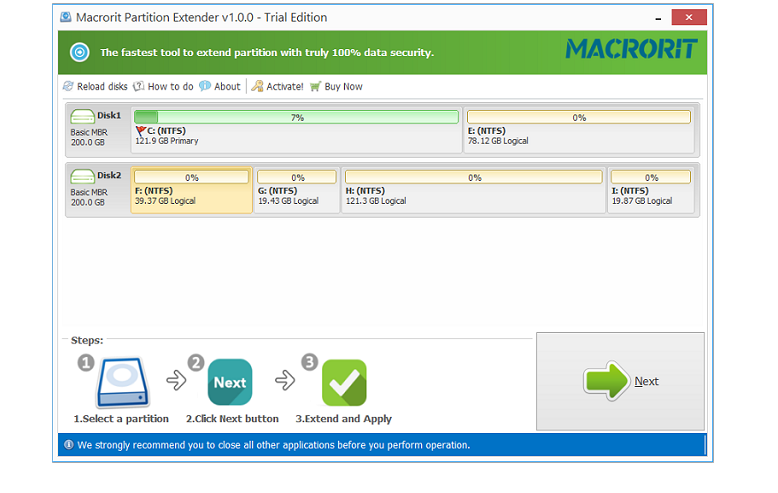 Yes, Pro Edition is the one for you, extend system partition at the largest size you ever wanted, only one click to do maximum extension. No matter there's unallocated space continuous or not, no matter the partition format is NTFS or FAT32, Extender Pro Edition will do system partition extension with one click. And it allows commercial use. New!Improve the speed of disk on reading and writing data, especially for SSD. New! New Generation, New Technology, Unlike Traditional ones!